"he was a great doctor, I am recommending him!" "Dr was informative and clear. He listened to my problem and discussed the path of action needed." "The Doctor was very concerned and friendly and it was good to see him again. Dr. Goldofsky is very nice." "Dr. Goldofsky is a very kind, caring physician & he has taken very good care of me at each visit (many "emergency" visits, also)." "Dr. Goldofsky was a pleasure to meet, strongly recommended by a family member." "I loved Dr. Goldofsky. He was very kind." "dr. goldofsky was caring concerned and took the time necessary to make us feel comfortable and understand the situation"
"Dr. G always calls me back when I leave an urgent message." "Of course definitely I'll recommend all my friends and family members to Doctor Elliot Goldofsky. He is an excellent and very professional doctor." "Dr. Goldofsky is an extraordinary doctor." "Dr. Elliot Goldofsky is a very good professional and very accurate with diagnostic." "Dr. Goldofsry is an excellent physician who is also very caring & I'm very happy he's my ENT." "Positive experience with caretaker and office." "My wife, myself and a grandchild have used Dr. Goldofsky for years. We think very highly of him." "Dr. Elliot was very nice and had a great attitude very professional." "Dr. Goldofsky was highly recommended to me by family members. I concur with their assessment of his skills. " "Dr. Goldofsky is someone I have the confidence in to make the surgery work out." "take the time that was necessary"
"Dr. Elliot Goldofsky was friendly, courteous and listened to my explanation as to why I was there for looking into the reason for my tinnitus and hearing loss." "I have the utmost confidence in Dr. Goldofsky, who has successfully treated me for otolaryngologic issues for over 20 years." "experience was on which inspired trust"
"appreciated his call the follow morning to check on me"
"Dr. Goldofsky was wonderful. Highest praise." "Again, Dr. Goldofsky is terrific!" 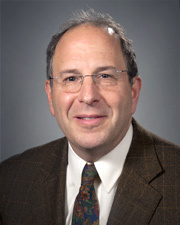 "Dr. Elliot Goldofsky is an EXCEPTIONAL care provider. I look forward to my visits with him! He is great! A blessing to the profession." "ALWAYS LISTENS AND FOLLOWS UP"
"Great doctor, was very concerned about my sickness"
"this was my first visit to this office, I thought the doctor was fantastic!" "All care delivered by the physician"
"very positive experience all the around during the visit"
"Great doctor always friendly, good knowledge of his job"
"Dr. Gadolfski is one of the best all around doctors I have ever dealt with. He listens to what I have to say and reacts with accurate results. I recommend him to anyone who in need of his services." "Dr. Goldofsky is truly a wonderful physician." "I highly recommend Dr. Goldofsky." "Dr. G is always sweet & always takes great care of me. He is an excellent dr.!!" "I like Dr. Goldofsky he is nice, caring but sometimes when you ask a question twice then they take deep breaths." "Only doctor able to help me with nasal dryness from my CPAP machine."